A reader pointed me to this News Focus in Science which referred to Danthi et al, 2014. 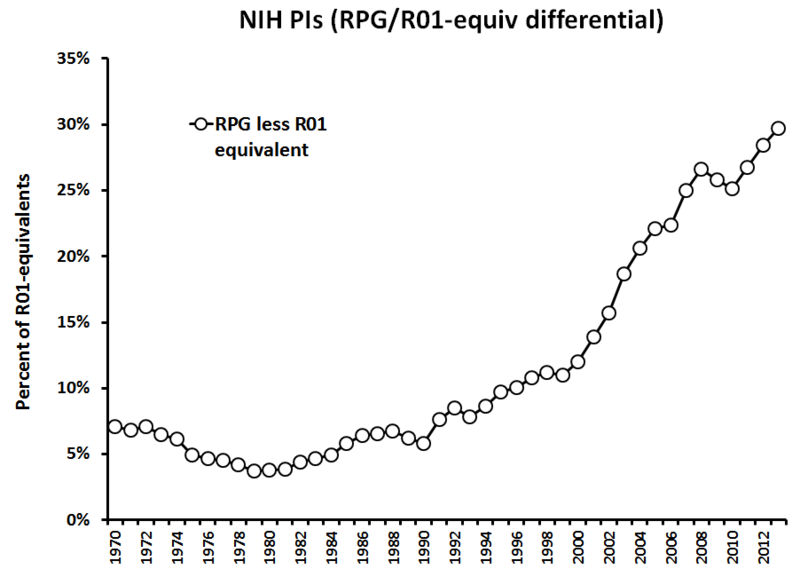 Danthi N1, Wu CO, Shi P, Lauer M. Percentile ranking and citation impact of a large cohort of national heart, lung, and blood institute-funded cardiovascular r01 grants. Circ Res. 2014 Feb 14;114(4):600-6. doi: 10.1161/CIRCRESAHA.114.302656. Epub 2014 Jan 9.
and the last part of the Abstract makes it clear. 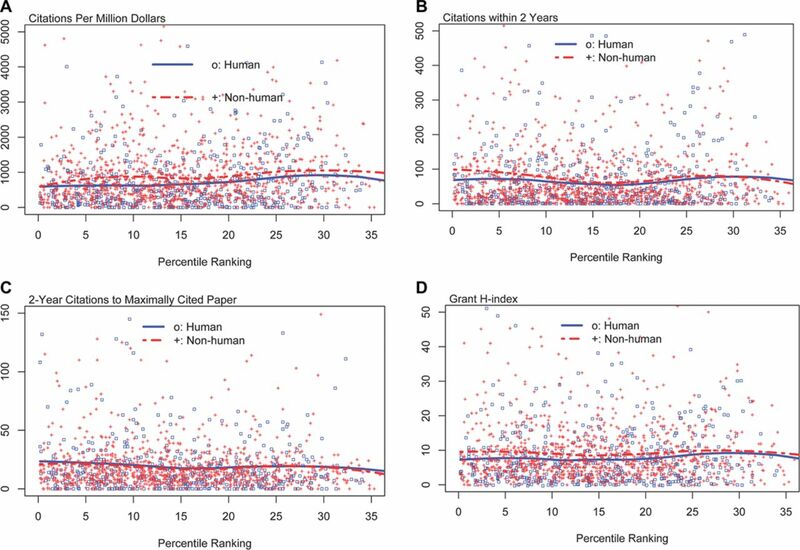 We found no association between percentile rankings and citation metrics; the absence of association persisted even after accounting for calendar time, grant duration, number of grants acknowledged per paper, number of authors per paper, early investigator status, human versus nonhuman focus, and institutional funding. An exploratory machine learning analysis suggested that grants with the best percentile rankings did yield more maximally cited papers. The only thing surprising in all of this was a quote attributed to the senior author Michael Lauer in the News Focus piece. Lauer is head of the Division of Cardiovascular Research at the NHLBI and has been there since 2007. Long enough to know what time it is. More than long enough. The take home message is exceptionally clear. It is a message that most scientist who have stopped to think about it for half a second have already arrived upon. 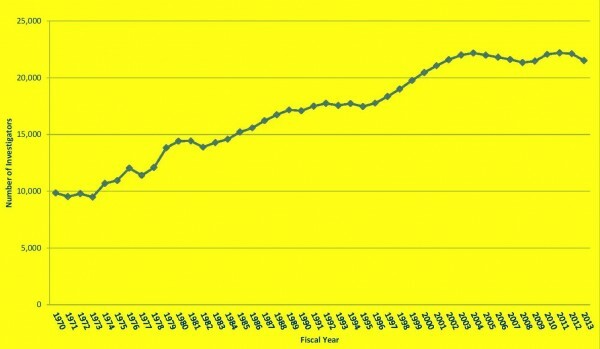 Addendum: I should probably point out for those readers who are not familiar with the whole NIH Grant system that the major unknown here is the fate of unfunded projects. It could very well be the case that the ones that manage to win funding do not differ much but the ones that are kept from funding would have failed miserably, had they been funded. 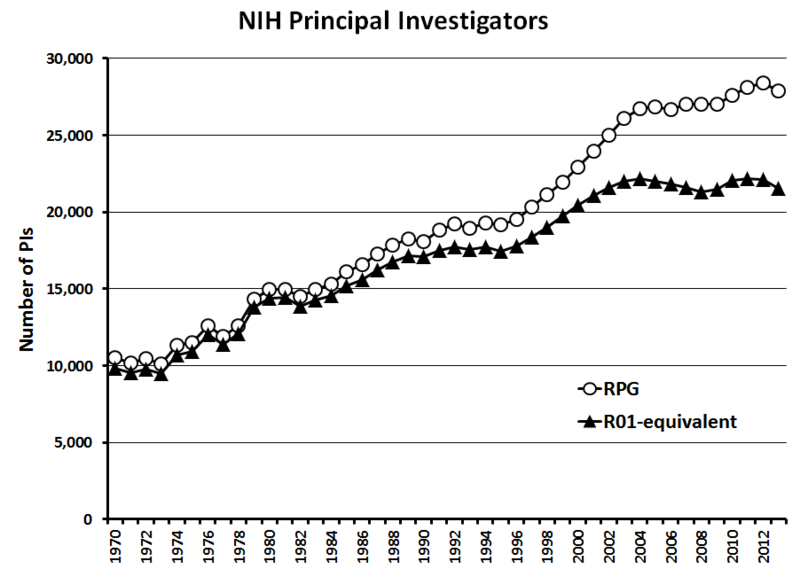 Obviously we can’t know this until the NIH decides to do a study in which they randomly pick up grants across the entire distribution of priority scores. If I was a betting man I’d have to lay even odds on the upper and lower halves of the score distribution 1) not differing vs 2) upper half does better in terms of paper metrics. I really don’t have a firm prediction, I could see it either way.